There are many time-saving gadgets in this modern age that make life more convenient, but there is also value in looking to the past for vintage living tips that have been preserved over the course of time. The following ideas and suggestions can help you to live more simply, save money, connect with your neighbors, support your local community and have fun! Planning, planting and tending your own vegetable garden has many benefits. Not only do you spend more time outside in nature, but by growing your own vegetables you will eat better and save on grocery costs. You can enjoy your garden's bounty all summer long as well as freeze vegetable for winter, can and preserve pickles and jam and even sell some of your produce. Life can be very hectic and it often seems easier and quicker to rely on prepared meals but when this becomes a habit your health suffers and you end up paying much more for the same dishes you can prepare at home with your own fresh ingredients. This goes for cleaning products and even some cosmetics. By using natural and homemade products you will benefit in terms of your health and protect the environment. Depending on whether you live in the city, a small town or in the country will determine whether you have the space to raise your own food. 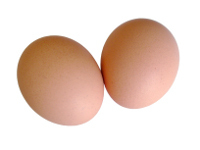 You can raise chickens in a relatively small area and have daily access to fresh eggs. Depending on how many chickens you have, you may even be able to collect the eggs to sell to neighbours and at local markets. Chickens can also be raised for meat. If you have a large enough freezer, it's a great way to stock up for the winter. When you buy staple items in bulk you save money on food and supplies and transportation costs. You can even team up with family, friends and neighbours to share a membership. Great food items to stock up on include lentils, pasta, rice and canned goods. Learning to knit, crochet and sew can be a fun hobby and it's very practical too. Not only can you do minor repairs and alterations at home, but you can also create fantastic gifts and even sell your handiwork. It's also of great benefit to learn to do minor home maintenance and repairs. With a basic toolkit including a hammer, screwdrivers, wrenches and pliers, you can fix and maintain bicycles, small appliances and take on larger projects too. Once you are growing your own food, cooking and baking and even making crafts, there are lots of opportunities to sell your produce, baked goods and handmade items. Find out about local events in your area including farmer's markets, fairs and community sales where you can showcase your products. There are also several bartering websites and online channels to swap and sell everything from used books to artwork. In addition to growing and selling locally and supporting small businesses in you community, you can also make a meaningful contribution by volunteering and organizing events like community trash clean ups, hosting neighborhood potlucks and participating in fundraisers to support local schools. Communities in the past were generally close-knit and neighbors looked out for each other. By applying some of these vintage living tips you can benefit from that age-old wisdom. Not only can you save money but you will also enjoy a sense of satisfaction and possibly build stronger relationships with your neighbors and your local community.